The remarkable journey of Christine Beshar, currently senior counsel at Cravath’s (in the trusts and estates department). 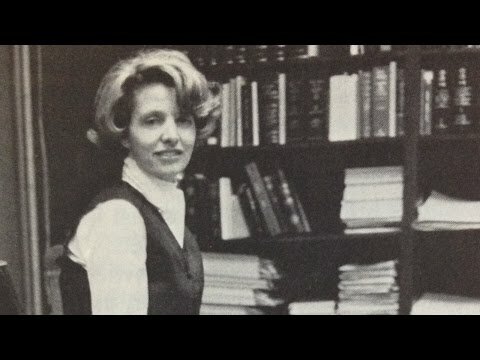 In 1971, she became the firm’s first woman partner. However, she had never gone to law school; instead, she had begun her career as a secretary and a switchboard operator. Later on, through dedication and hard work, she “read up for the bar” and then passed the exam. Oh, by the way, she has also raised four children. -- Back in the Mad Men days -- 1964, to be precise -- there were hardly any female lawyers at major NY firms. That's when Christine Beshar joined prestigious white-shoe firm, Cravath, Swaine & Moore. She became the firm's first female partner in 1971. Today, in her 80s, Beshar still works as senior counsel. Her son, Peter Beshar, is general counsel of Marsh & McLennan, one of the world's largest insurance brokerage firms. Peter and Christine recount the story of Christine's rise from operating a law firm switchboard to passing the bar without attending law school, and then eventually becoming the only woman partner in any corporate law firm in NY; all while managing work-life balance long before the phrase was commonly used.